Our Fall 2017 Family Leaders graduated! Do you know a parent who is ready to take their leadership skills to the next level? Refer them to apply to the Spring 2018 cohort. For paper applications, send us a note! Check out photos from the celebration on our Facebook! 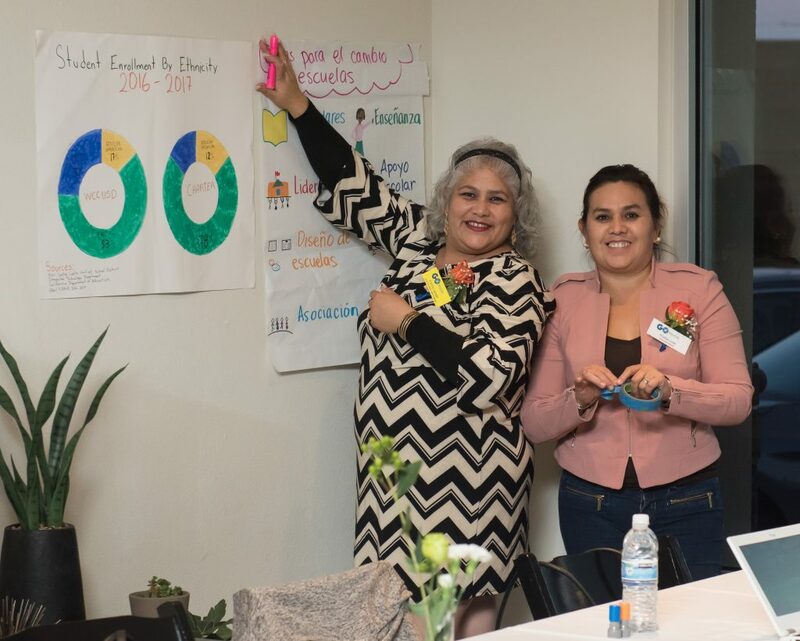 Last Thursday, November 30th, 100+ community members — including principals, teachers, students, and school community outreach workers across West Contra Costa schools — joined us to celebrate and graduate our third cohort of Family Leaders! Guests made their way to stations around the room where Family Leaders shared their perspectives and reflections on key learnings from the Program: Quality Education, School Governance & Funding, Building Relationships, Organizing & Advocacy. Join us in congratulating these powerful parents who have put in so much time and hard work over the last months to build their advocacy and leadership skills in service of improving outcomes for not only their own children, but all students in our community. [VIDEO] Hear firsthand from graduates what they’ve learned about leadership and their plans for the future. Thank you to all of the partners and allies whose support make this journey with our Family Leaders possible. We are inspired and humbled to work alongside you. Together, we can work towards ensuring all West Contra Costa schools are supported by parents and family members empowered to build relationships, work towards solutions, create change, and be true partners in decision making for students success.